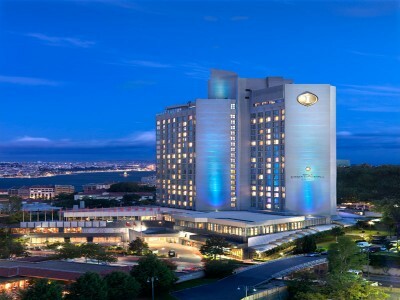 The conference will take place at the Intercontinental Istanbul, Asker Ocagi Cad No.1, 34435 Taksim, Istanbul, Turkey. İstanbul, once known as the capital of capital cities, has many unique features. It is the only city in the world to straddle two continents, and the only one to have been a capital during two consecutive empires - Christian and Islamic. Once was capital of the Ottoman Empire, İstanbul still remains the commercial, historical and cultural pulse of Turkey, and its beauty lies in its ability to embrace its contradictions. Ancient and modern, religious and secular, Asia and Europe, mystical and earthly all co-exist here. Its variety is one of İstanbul’s greatest attractions: The ancient mosques, palaces, museums and bazaars reflect its diverse history. The thriving shopping area of Taksim buzzes with life and entertainment. And the serene beauty of the İstanbul strait, Princes Islands and parks bring a touch of peace to the otherwise chaotic metropolis. Istanbul maintains a distinguished position among the metropolis of the world with its unique geographical location and a cultural heritage of thousands of years. As one of the most energetic cities in the world Istanbul continually gets to be an attraction center. The city offers a huge array of important historic buildings including the Topkapi Palace, the Hagia Sophia and the Blue Mosque. It has a wealth of archaeological monuments as well as a vibrant and colourful local culture of tea gardens, taverns, and markets such as the spice bazaar and Grand Bazaar, 'the world's oldest shopping center'. There is a sense of energy and innovation in the city which is again very fashionable as a world destination. There is a wealth of exciting new art galleries and museums as well as restaurants, bars and nightlife.